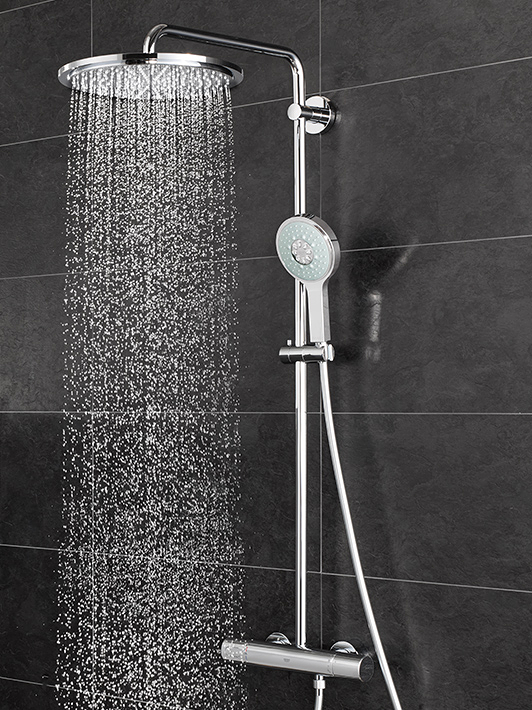 Use all the physical properties of water to create your unique shower experience. 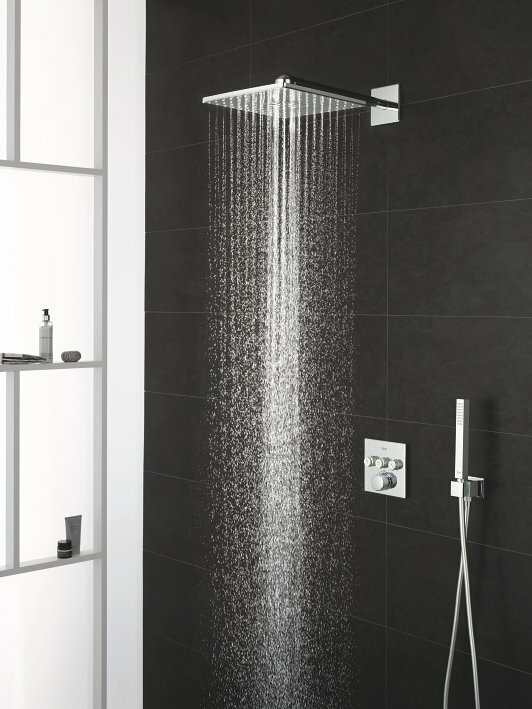 Large or extra-large; fitted flush to the ceiling or wall mounted; GROHE showers come in all shapes, styles and sizes – each one designed with your satisfaction and enjoyment in mind. Create your own personal tailor-made spa experience with GROHE F-digital Deluxe and AquaSymphony. 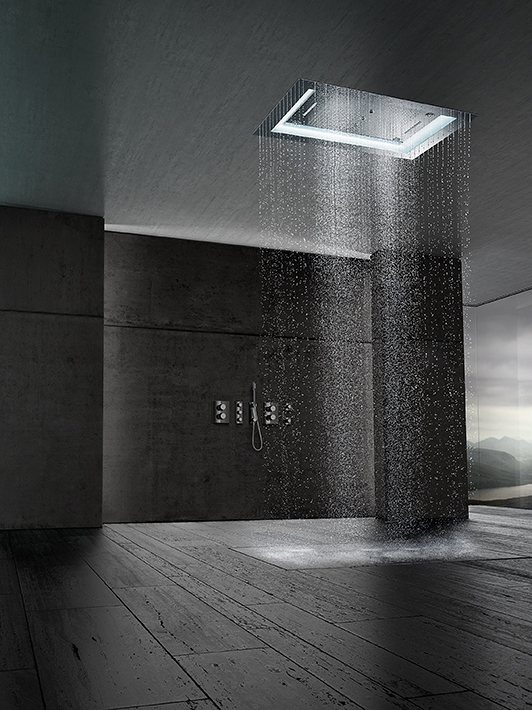 This multi-sensory shower will stimulate all your senses and transform your bathroom into an indulgent space for physical, emotional and spiritual well-being. 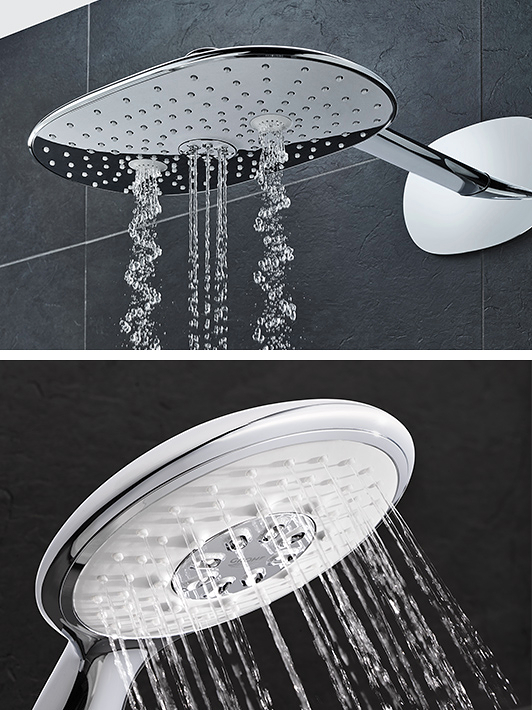 Find the right GROHE Shower that will fit your needs. Discover unparalleled spa shower experiences.